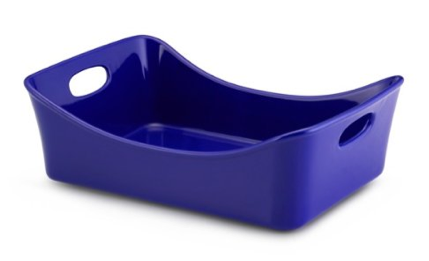 Rachael Ray Stoneware 9-Inch x 13-Inch Lasagna Lover Baker & Roaster $27.99 (Reg. $50)! You are here: Home / Great Deals / Amazon Deals / Rachael Ray Stoneware 9-Inch x 13-Inch Lasagna Lover Baker & Roaster $27.99 (Reg. $50)! HURRY! Right now, you can snag this fab Rachael Ray Stoneware 9-Inch x 13-Inch Lasagna Lover Baker & Roaster for ONLY $27.99 (Reg. $50)! (in BLUE; hover your mouse over the BLUE one to see this price) 😉 What an awesome deal for this! !